Toyota Kirloskar Motor announced a partnership with Uber, the ride-hailing app to offer end-to-end vehicle buying solutions for driver partners operating on the Uber platform. Through this partnership Toyota’s Financial arm, Toyota Financial Services India Ltd. (TFSIN) will provide 90% on-road funding on Etios and Livamodels for first time drivers, further reinforcing its association with Uber ensuring best-in-class products are easily affordable to first time buyers. The 90% on-road funding scheme encompasses a complete package of vehicle cost, accessories, service packages, registration road tax and insurance. The scheme will be applicable till the end of this year till December 2016. With this initiative the world class product of Toyota will easily be affordable for the Uber Driver Partners which will further add to the growth of the mobility business. The unique scheme, which has been rolled out across all dealerships across the country, will provide best-in-class service standards with priority processing for Uber drivers. 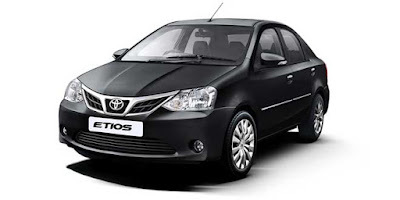 Etios has been very successful in the people mover segment where vehicles are preferred only for their quality, durability and reliability, a testimony to its build quality and strength. The excellent overall ownership cost value proposition compared to other vehicles makes it most economical and well appreciated by customers. The Indian ride-hailing market is burgeoning with growth in smartphone and internet users using ride-sharing services for daily commute. As per reports, India’s ride-sharing market is expected to be around $7 billion by 2020. Toyota Kirloskar Motor has collaborated with Uber offering major support to first time drivers on the Uber Platform through this scheme. This initiative will further boost this market in India with the best on road funding scheme which will ensure that customers can easily buy Toyota products which have set a safety benchmark in the industry. The scheme will be applicable till December 2016, across India.